Electronic Rebate - $50 eGift Card w/ Purchase See More. The specialized step on the RB10 allows debris to pass through the running board. Debris can reduce grip on the step area increasing the likelyhood of a slip or fall. The recessed pass through provides a slip resistant step area and prevents danger in inclement conditions. 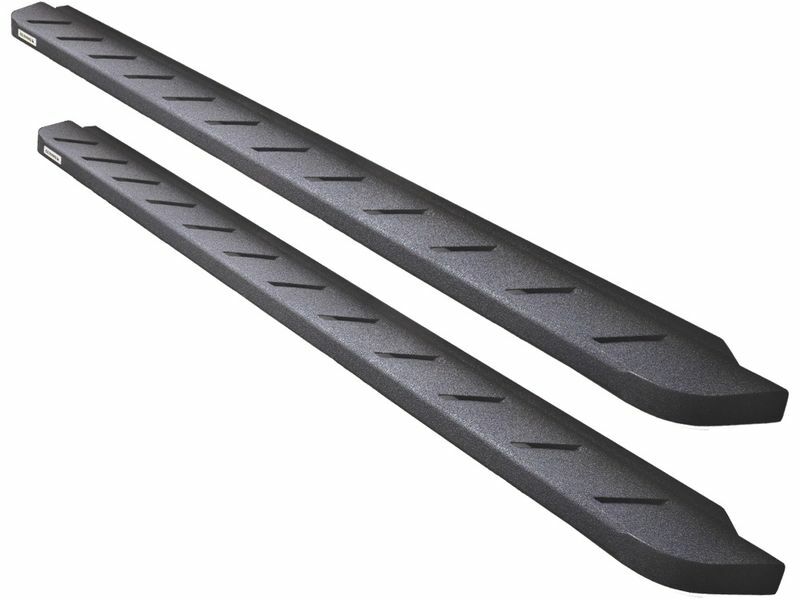 RB10 running boards utilize a textured polyurethane finish. This is not the average powder coating. This rubberized powder coat adds to the grip of the step area considerably and increases durability immensely. The black finish gives these rugged bars an aggressive look that can go anywhere. When you're offroad or jumping a curb you want all of the clearance you can get. The Go Rhino RB10 provides that clearance and a steep up into your vehicle. This is accomplished by engineering the running board with a lower height profile. This running board design is field tested to ensure that it performs properly. The powdercoating, strength, durability, and functionality are all put through rigorous testing. This way you can rest assured your RB10 runningboards will serve you well. Mounting brackets are an integral part of a well performing running board. The strength and rigidity of the product are directly related to bracket design and strength. Go Rhino knew this when they created the RB10 running boards using high strength zinc coated steel and coating them with their premium powder coating.